You've got your carry permit, you're familiar with firearm safety, and you hit your targets proficiently, WHY would you take a course? BECASUE you don't know what you don't know. There are situations which could cost your life, and tactics which might save you or others, but if you don't know about them... you want to take the next step and get the edge you need if things ever get ugly while you're on the street? then our NEXT STEPS Course is for you. Class room & range time are carefully balanced to give you understanding, acclamation, practice, and confidence as you learn about threats you might face and how to protect yourself and those you love. You'll learn about dangers you may have been blissfully unaware of before, but you'll learn solutions to these situations, AND you'll practice them hands-on! Using a combination of moving and stationary targets, with live-fire drills, you'll learn to identify & assess threats. You'll practice drawing from concealment and engaging targets, making use of protective cover, and making every shot count. You'll find-out how to create your own personal defense strategy, and build effective dry & live-fire drills that work for your schedule and resources, training your body to take advantage of natural startle responses. Bring your own carry gun, holster, & range gear. The class time includes dry-fire drills and gun-handling to prepare you for live-fire. On the range we'll carry 'hot', practicing safe concealment while we engage targets with live ammunition. You'll find no "drill-Sergeants" on our range, but only patient teachers with your safety & instruction in mind. Our comfortable range atmosphere helps a novice gain confidence with their firearm and tactics, while even experienced shooters can learn challenging concepts they can use for improving their skills. This is an 4-hour course and is hosted at our local Izaak Walton. We try to limit the class size to encourage plenty of one-on-one instruction and lots of trigger-time. You'll need about 100 rounds of ammunition, a comfortable holster & concealment garment, your pistol, and a range bag with appropriate gear (for a detailed list, click here). The introductory price for this course is just $60 for the four hours of instruction and range time, this price includes your class materials .and range fees. If you'd like to host a NEXT STEPS Course for just your elected friends or family at your own appropriate venue or local range, or at the Izaak Walton in Peosta, please contact us and we can discuss the details. What should you BRING if you are planning to attend a NEXT STEPS course? - the bag itself can be professional one designed for this purpose, or it can be any re-purposed container. An old tool bag works well, especially if there are lots of pockets or pouches inside & out. Tool boxes also work well, or even a five-gallon pail (these can double as a seat if need be). But the general rule of thumb is: how organized do you like to be? Obviously all this is pointless without your gun, and here are a few tips about what gun to bring to a NEXT STEPS Course. - bring additional pistols if you want, there are times when we chose to carry something other than our regular gun, perhaps something more/or less concealable, or a back-up gun (b.u.g.). You may choose to try some of the techniques you'll learn using this other pistol. - bring spare magazines, you must have at least one mag for the gun, and one spare. We will be practicing reloads, but we also will be running many of our drills firing "at will", and when all your mags are empty you will just be watching till the others also run-dry. - bring your carry rig. By "rig" we mean the holster, belt, mag holders, and any other items you require when you go 'packing' in public. This should be a tried & tested rig! We will be sitting in class wearing this rig, moving about on the range, running, falling, laying on the ground, so this rig must be comfortable and effective for retaining your gun & accessories. - bring ammunition for your gun. You may want up to 300 rounds depending on how you choose to engage, but you will need 100 rounds at the least (better to go home with some in boxes than to stand-back & watch others shoot). Make sure the ammunition matches what is marked on your barrel or slide, or what is recommended in the mfrs guide. There is no need to use expensive defensive ammo for this course, cheap-stuff & re-loads are ok! - snap caps, are inert plastic or metal tools which are shaped like a cartridge, enabling the user to practice loading & mag change drills as if there were live-ammo. These are not required, but would be helpful for the gun-handling portions of the class. These can be purchased online or Central Range usually carries a variety of calibers. We will be exercising "concealed carry" methods throughout the day, so wear street clothing that will comfortably conceal your firearm and carry rig. This is NOT a course for tactical gear, but is intended to help you work-out the details of efficiently carrying a handgun in public places without drawing attention to yourself, or frightening a skittish granny. - sunglasses should be considered ONLY if that is a regular part of your attire. Since we will be practicing live-fire drills, shooting with dimmed lighting could effect your accuracy (good practice if you usually wear sunglasses, but just discouraging if you don't). - Shoes should be something similar to what you would typically wear when carrying, but realize that we'll be moving-about on a grassy range, so it may be best to make sure your soles have appropriate traction (not a good place for cowboy boots for example). This will be a long day with lots of moving about, so come prepared to keep your body sustained for the long-haul. - We will break for LUNCH, so bring a sack lunch or your choice. A grille will be available, and a fridge for any cold items. The break will be roughly an hour, and you are welcome to leave for a nice meal out if you like, but the hour is really a great time to sit together with your class mates & instructors. A lot of great questions and practical advice come out during breaks like this, and the facility has a relaxing atmosphere, so stay through the break if you can. - We will take occasional breaks, but they will be short, and likely infrequent. So feel free to SNACK all you like at anytime throughout the course. - It is very important to STAY HYDRATED! Bring your favorite beverages (non-alcoholic of course) and feel free to enjoy them at anytime. Keep in mind that highly caffeinated beverages can effect your body in unusual ways under stress, making it difficult to effectively acquire targets. Likewise, keeping a clear-head during target assessment drills is important, and can be hindered by too much sugar or caffeine. Water is a great beverage, and drink packets may help it go down with greater ease if you prefer a lot of flavor. This is an ideal course to help current permit holders meet IOWA requirements for the RENEWAL of their Weapons Permit. What should you EXPECT at a NEXT STEPS Course? - we'll review the basic safety info, and we'll describe safety concerns you need for the next step. - we'll learn defensive strategies for those moments when your pistol is NOT the best answer. - we'll discover techniques for making your pistol as efficient as possible in your hands. - we'll 'drill' with your guns & gear in dry-fire scenarios, mag changes, malfunctions, etc. 2) expect serious RANGE TIME. - we'll go beyond the 'gun handling' practiced in our basic carry course, and will be practicing live-fire at varying targets in multiple situations. (see below for gear requirements). - proper target assessment is extremely important, and you will take part in live-fire exercises where you will need to determine which targets are threats and which are not. 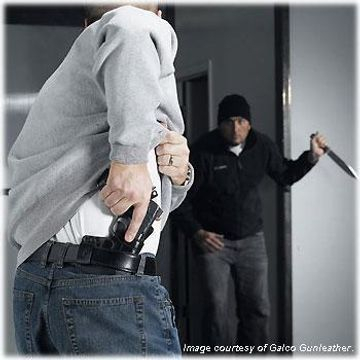 - safely engaging threats can be a serious challenge when you are carrying in public, you'll learn methods to protect yourself from gun-fire while maximizing your hits on multiple threats. - be prepared to MOVE! you will need to move to safe cover, and engage target while you move. - you will enter some scenarios blind, determining your best solution the moment it appears before you (don't worry, we prepare you for it). - targets will vary. Some are simple shapes & colors, others will be life-size 'bad guys'. - some targets will be stationary, others will run, jump, hide, swing, even charge. - you will be taught all that you need in order to come-away confident with the actions you learn.